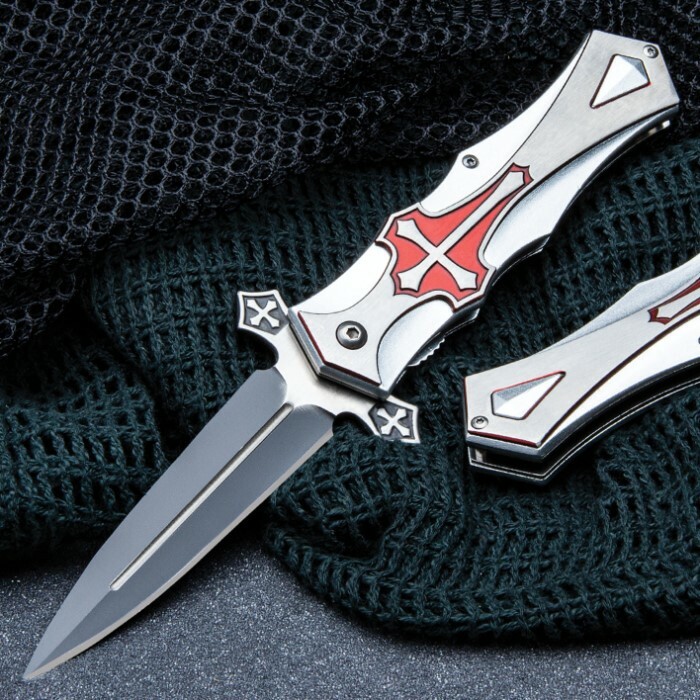 With a distinct look that has both a Medieval and Gothic appeal, the Crusaders Red Shield Pocket Knife features a cross medallion set on a red background. The medallion is featured on the aluminum handle. 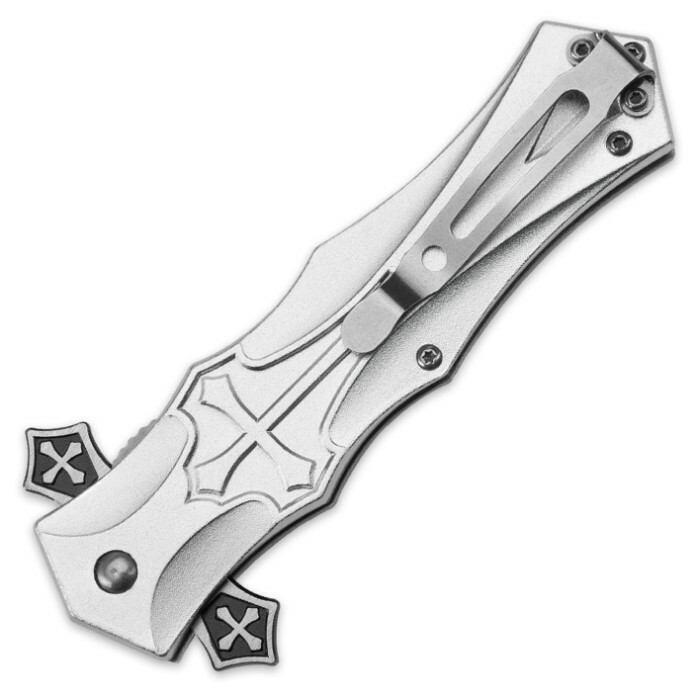 The pocket knife has a 4” two-tone stainless steel blade and is spring assisted for easy opening. It has a pocket clip for convenient carry. NOT FOR HEATHENS. Perfect for the upcoming fifth crusade. Solid construction, nice blade, and switches out fast. If it's in your right pocket, with the red side towards your thigh, you can pull it out and have the cross guard catch on your pocket and switch out the blade automatically. Or rather automagically. 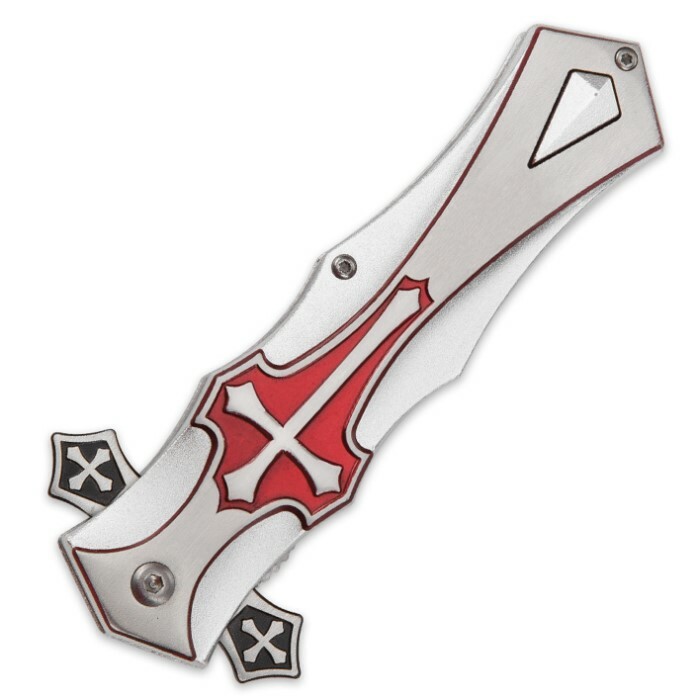 Real talk though, it's a nice blade. I love it. 10/10. What really attracted me to this blade were two reasons the belt clip was built on the best tactical end of the handle and the finger guards are oversized,which makes for great protection. That said, the deployment and spring action are very smoothly done. It takes very little effort to open and close the blade making it good for EDC.... When I pull this knife out my friends make a lot of ooou & ahhh sounds like there having thier first orgasam or something.